1.1. Report of the Strategic Transportation Research Study. 1.2. The 1986 Strategic Highway Research Program Research Plans. 2.1. The four LTPP regions and current regional offices. 2.2. Structure of the LTPP organization during the SHRP-LTPP years (1987–92). 2.3. SHRP-LTPP and FHWA-LTPP staff members during the LTPP program transition. 2.4. LTPP within the FHWA Turner-Fairbank Highway Research Center organizational structure (2012). 2.5. General structure of the LTPP organization during the FHWA-LTPP years (1992–present). 2.6. LTPP Committee meeting held in Washington, DC, on October 29, 2013. 2.7. Connecticut Department of Transportation (CT DOT) staff meet with the LTPP program and regional support contractor staff. 2.8. LTPP program staff and core contractors meet to discuss the status of different program activities. 3.1. Memorandum of Understanding for the recruitment of LTPP SPS test sections. 3.2. Reports of the winning papers from the 2001–2002 and 2003–2004 international data analysis contests. 4.1. LTPP funding in fiscal years 1987–2014. 5.1. Example of the research matrices used to plan the General Pavement Study experiments. 5.2. Designated layout for GPS test sites. 5.3. Sampling template and cell identification numbers for GPS-1 (Asphalt Concrete on Granular Base). 5.4. Example of the research design matrices created for the Specific Pavement Study experiments. 5.5. Test section layout for SPS-1 and SPS-2 projects (Strategic Studies of Structural Factors for Flexible and Rigid Pavements, respectively). 5.6. Locations of the 2,509 pavement test sections across the United States, Puerto Rico, and Canada. 6.1. LTPP data collection categories. 6.2. Complete automated weather station installation with protective fencing. 6.3. Prototype automated weather station used by the LTPP regional support contractors for in-house training of staff and to calibrate equipment components. 6.4. A virtual weather station (VWS). 6.5. Van-towed falling weight deflectometer equipment used in the LTPP program. 6.7. The cover of the FWD maintenance manual, used to keep the units operating at peak performance. 6.8. An FWD being calibrated at the PennDOT regional calibration center early in the LTPP program. 6.9. Mobile equipment used to photograph pavement distress. 6.10. Sample of a computer-generated distress map from PADIAS 4.2 software. 6.12. Example of the multipage forms used to record distresses observed during LTPP manual distress surveys. 6.13. Participants in a field review of distresses at an LTPP distress accreditation workshop. 6.14. Screen shot from DiVA software showing a time-series chart of a pavement distress along with the table for all distresses for a test section. 6.15. Edge drain inspection using videography. 6.16. Locked-wheel skid tester currently in use for collecting friction data. 6.17. The first (DNC 690) Profilometers used in the LTPP program. 6.18. The T6600 Profilometer, in use from 1996 to 2002. 6.19. ICC Profiler MDR 4086L3 (Ford E350 van), in use from 2002 to 2013. 6.20. Ames Profiler in Ford E150 van, acquired in 2013. 6.21. Manual Face® Dipstick® used to collect profile data in the LTPP program. 6.22. Profile coordinators with four ICC profilers and the last K. J. Law Profilometer, gathered for a rodeo at MnROAD in 2007. 6.23. Profile coordinators gather in College Station, TX, in 2013 to receive training from the LTPP program on the new Ames profiler units. 6.24. Measuring rut depth with the 4-ft straightedge. 6.25. Diagrams of the PASCO/CGH ROADRECON-75 showing (a) the transverse surface profiler system mounted in a vehicle; and (b) the geometric relations between the system’s optical bar and camera. 6.26. Translating photographs produced by the automatic profilers into digital format. 6.27. Normalization of transverse profiler measurements to lane edges. 6.28. Three Face® Dipstick® profile measuring devices with carrying cases. 6.29. A sample data transmittal form used by the highway agency to submit historical traffic data to the LTPP regional support contractor. 6.30. A sample data transmittal form used by the highway agency to submit traffic estimates to the LTPP regional support contractor. 7.1. Distribution of instrumented sites in the LTPP Seasonal Monitoring Program. 7.2. A piezometer monitoring well and cap, used to determine ground water levels. 7.3. Mobile monitoring equipment for downloading data collected at seasonal monitoring sites. 7.4. The moisture probe designed at the FHWA highway research center. 7.5. Schematic of the moisture probe that was used to obtain moisture content in unbound base and subgrade materials in the SMP, designed at the FHWA highway research center. 7.6. SMP Phase II seasonal monitoring equipment installation at the Lake Ontario State Parkway site on SR 947A in western New York. 7.7. Traffic ETG members who provided technical guidance and direction to the traffic pooled-fund study. 7.8. Participating States in the LTPP SPS Traffic Data Collection Pooled-Fund Study. 7.9. Load cell WIM installation. 7.10. Staggered bending plate WIM sensors installed in concrete pavement. 7.11. Installation of quartz piezoelectric WIM sensor spanning a full lane. 7.12. Screen shot from LTPP Traffic Analysis Software showing loadings of Class 9 traffic. 7.13. LTPP regional support contractor staff use the dynamic core penetrometer to determine the strength and density of the subgrade at the SPS site in Minnesota. 7.14. Workers prepare a trench for forensic investigation of an SPS-5 site in Arizona. 8.1. The LTPP Information Management System. 8.2. Overview of the initial SHRP-LTPP database process, data flow, and releases circa 1989 to 1994. 8.3. Functional diagram of LTPP data processing flow circa 1995 to 1999. 8.4. Functional diagram of LTPP data processing flow circa 2000 to 2011. 8.5. Functional diagram of LTPP data processing flow circa 2011 to present. 8.6. DEC MicroVAX 3900 computer running the UNIX® operating system, used as the first LTPP National Information Management System (NIMS) server from 1989 to 1993. 8.7. The LTPP DEC Alpha 3000 AXP 400 S computer system running the UNIX® operating system, used for NIMs server functions from 1993 to 1997. 8.8. Compaq® ProLiant 1500 server running Windows® NT 16-bit operating system, used for the central database server 1997 to 2001. 8.9. Dell™ PowerEdge™ 2900III installed in May 2009 at FHWA’s Turner-Fairbank Highway Research Center to serve as the secure central repository for LTPP electronic data into the future. 8.10. Historical changes in the number of FWD data sets contained in LTPP data releases. 8.11. Growth in number of FWD basin and load transfer measurements contained in the LTPP database since 2002. 8.12. Growth in number of longitudinal pavement profile measurements. 8.13. History of LTPP pavement surface distress surveys. 8.14. Increase in transverse profile measurements since 1996. 8.15. Growth in number of hourly climate data measurements collected by the LTPP program as part of the Seasonal Monitoring Program and automated weather station data collection efforts. 8.16. Increase in total number of records in the materials test module starting in 1996. 8.17. Growth in materials data for resilient modulus (Mr), creep compliance, and indirect tensile strength (IDT) using the P07 version 2 test protocol. 8.18. Home page of the LTPP InfoPave™ Web site. 8.19. LTPP InfoPave’s interactive map feature, showing the locations of LTPP test sections. 9.1. Data collection guidelines published as manuals for falling weight deflectometer measurements, distress identification, and profile measurements and processing. 9.2. Distress raters evaluate a pavement surface in an LTPP accreditation workshop. 9.3. Profiler rodeo held at the Minnesota Road Research Project (MnROAD) site in Albertville. 9.4. ProQual software, used to evaluate the acceptability of profile data. 9.5. The Traffic Monitoring Guide. 9.6. A distress-versus-time graph produced by the DiVA software. 9.7. LTPP Data Analysis/Operations Feedback Report, used to provide feedback to the program regarding data that require investigation or correction. 10.1. Introduction to the original LTPP Strategic Plan for Long-Term Pavement Performance Data Analysis, page 1, as adopted in 1999. 10.2. Graphical compilation of the 1999 LTPP Strategic Plan for Long-Term Pavement Performance Data Analysis, its strategic objectives and product priorities. 10.3. Illustration of the expanded strategic plan for LTPP data analysis, showing the extent and complexity of the plan as it has evolved since 1999. 10.4. Excerpt of the expanded strategic plan for LTPP data analysis, showing analysis outcomes, supporting projects, and problem statements for Strategic Objective 1: Traffic Characterization and Prediction. 10.5. Excerpt of the expanded strategic plan for LTPP data analysis, showing analysis outcomes, supporting projects, and problem statements for Strategic Objective 6: Maintenance and Rehabilitation Strategy Selection and Performance Prediction. 10.6. MnROAD low-volume road and mainline test roadways owned and operated by the Minnesota Department of Transportation. 10.7. Daniel Franta, a graduate student at the University of Minnesota, receives the 2012 ASCE-LTPP Data Analysis Contest Winner award. 10.8. LTPP Product table from the 2001 LTPP Product Plan showing how existing and planned LTPP products address national pavement needs. 10.9. LTPP Dynamic Modulus Prediction software, available from the LTPP program. 10.10. Distress Identification Guide, Asphalt Concrete Pavements. 10.11. Participating States in the LTPP SPS Traffic Data Collection Pooled-Fund Study. 1.1. LTPP General and Specific Pavement Study experiments. 4.1. LTPP program Federal funding (fiscal years 1987–2014). 4.2. LTPP Timeline—Highway legislated and other funding sources. 4.3. LTPP program funding under STURAA (fiscal years 1987–91). 4.4. LTPP program funding under ISTEA (fiscal years 1992–97). 4.5. LTPP program funding under TEA-21 (fiscal years 1998–2003). 4.6. LTPP program funding under SAFETEA-LU (fiscal years 2004–2009). 4.7. LTPP program funding under MAP-21 (fiscal years 2010–2014). 5.1. Evolution of the General Pavement Study experiment designs. 5.2. Evolution of the Specific Pavement Study experiment designs. 5.3. LTPP General and Specific Pavement Study experiments. 6.1. LTPP database modules (circa 2014). 7.1. LTPP WIM system performance requirements. 8.1. IMS computer hardware used in the LTPP program. 8.2. Contents of the Ancillary Information Management System. 8.3. Nominal dates for major LTPP data releases. 8.4. Backup frequency for the LTPP Information Management System, 2014. 9.1. LTPP data collection guidelines. 9.2. LTPP data collection equipment and components. 10.1. 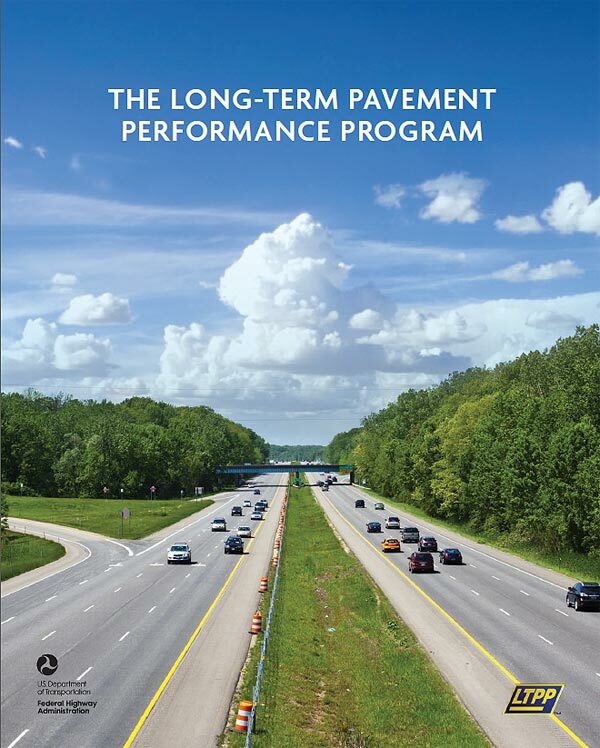 LTPP data analysis research funded by the National Cooperative Highway Research Program. 10.2. Status of research studies related to the Strategic Plan for LTPP Data Analysis (1999-2014). 12.1. Importance of completing the long-term monitoring of the original LTPP experiments.